This car is a great every day vehicle with excellent fuel economy. 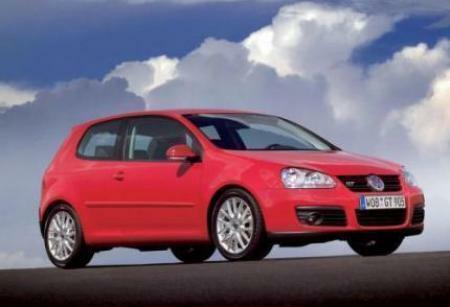 Up to 160-180 km/h you feel no difference to the perfornace of the Mark V GTI. By the way, great page!! FastestLaps has it improved even more! Well done!! Go on!!! This car has been dynoed by three different magazines and got 190+ hp in all the measurements. It revs 7400 rpm and the powerdelivery is just so entertaining it makes me laugh each time! I prefer it to the GTI, the engine is more fun, the weight is quite a bit lower and the suspention a little softer and gives much better everyday comfort but still worked very well at the Nurburgring. (with 19" wheels) The new 160 hp MK6 is according to EVO magazine clearly less fun than the original GT MK5, the new one dynoed in at 168 hp. Yes. 1/4 and other acceleration figures could be useful even for WIF (Which Is Faster). Also 0 - 200 km/h is a good figure. But not all cars have it tested. Top speed as tested isn't really necesarry because not allot of magazines test top speed, things like 0-100mph and 1/4 mile times could be interesting. OK. Till now all the performance specs are manufacturers claims and so they have to be. However i opened a poll in forum to see our few member's opinion. If majority say that we should stick with manufacturers claims or noone bother to vote at all, I delete this VW Golf and add a new rule in our Rules Page (http://www.fastestlaps.com/tos) that says - "Car specifications have to be announced by manufaturers" or something like that. If majority says "No, we should include Magazine data" than I will add a new field for 0-60 acceleration and top speed as tested by Magazines or TV Shows. Car uploaders then will be forced to post their reference links in comments section. That's what i'm saying. only when there isa source you should be able to post 0-60 0-100 and 1/4 mile times. Beside it we keep the factory given time. But thats quite tricky. Magazine data reqires reference and it causes a lot of arguing. Maybe you could do both, thirst he manufacterers claim and beside it the time as tested by some magazine with the source with it. 90% of other car performance data are manufacturers claims. Therefor we should stick to them. If I delete Heyhuubs Golf again I will upset him, if I delete your I will upset you.... eeem.. I don't want to upset anyone :D What should I do? Maybe a forum poll "Manufacturers data vs Magazine data" could help? These performance data have been done by testing of the magazine "SportAuto", the other one is just copied by the manufacturer. So you should delete the other one. P.S. Could You change Volkswagen into "VW" and 170 kw into 170 hp? There is no difference wether I keep your Golf GT TSI or newly added. They both are exactly the same. Plus it has 170hp not kw. I added the GT TSI´s new laptime from this magazine. Sorry, but this was a test made by the german magazine "SportAuto" which do the best tests and track driving. 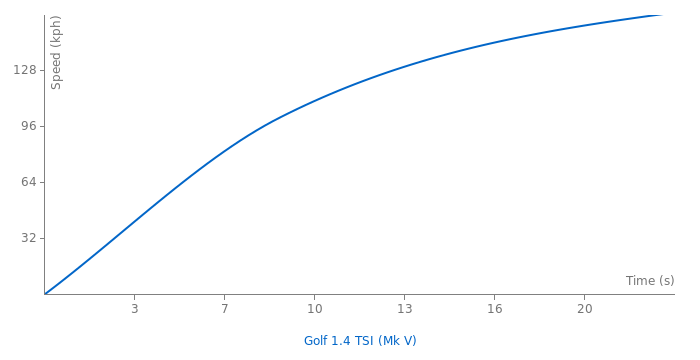 And here the Golf GT TSI was tested with 7.2s (0-100 km/h).